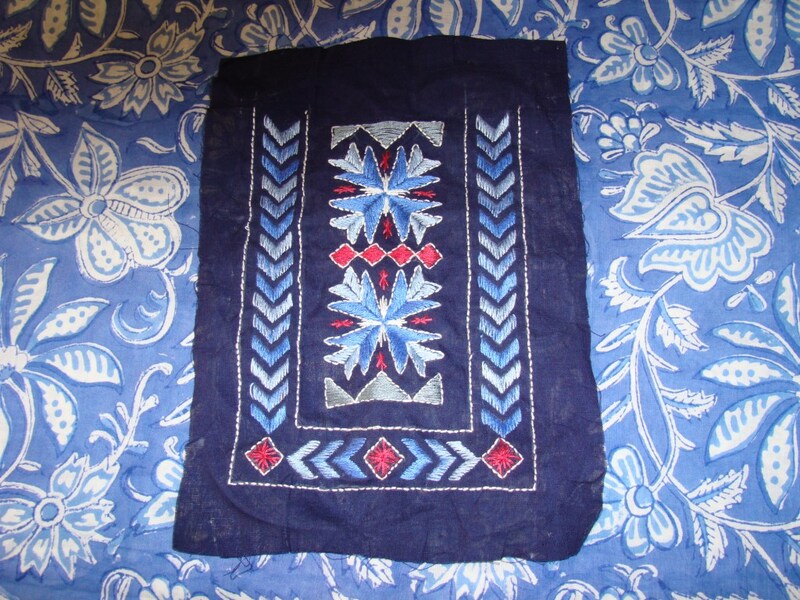 The embroidery on this dark blue yoke fabric is completed .I chose the colours keeping in mind that the outfit should match well with blue jeans. 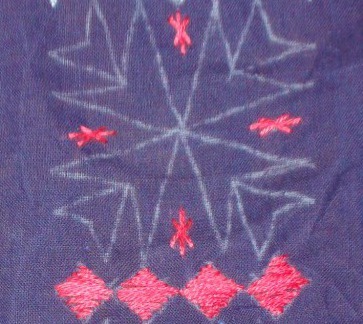 The red colour was added to enhance the yoke. I hope the ideas and details I share on my blog inspire others. 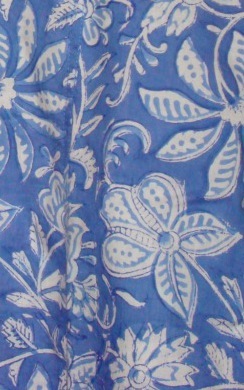 I am detailing the embroidery on the yoke of this floral tunic. 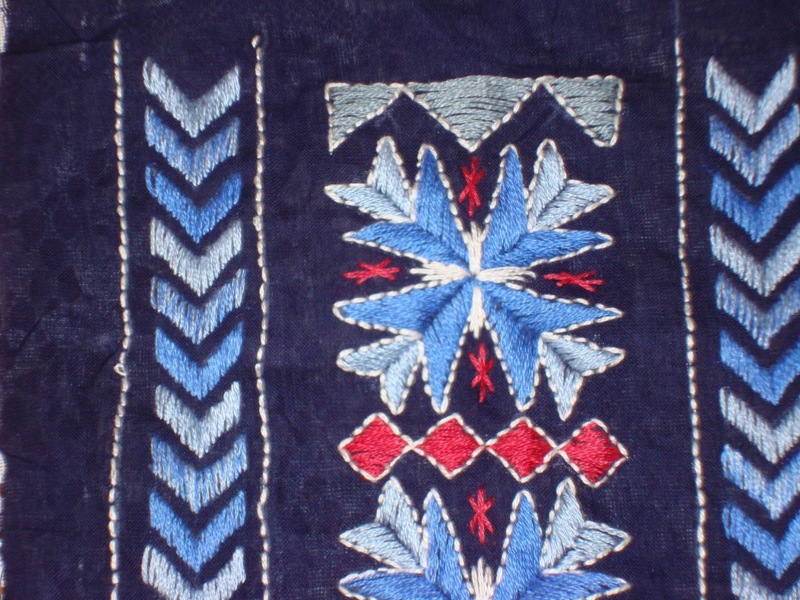 The two motifs in the centre completed with satin stitch filling , back stitch outline and straight stitches worked in white thread. 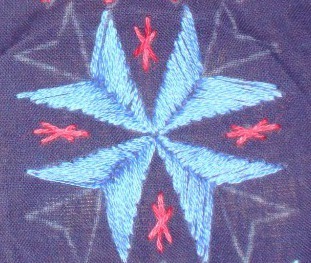 The border pattern is also worked in satin stitches in two colours. The completed yoke on my next post. 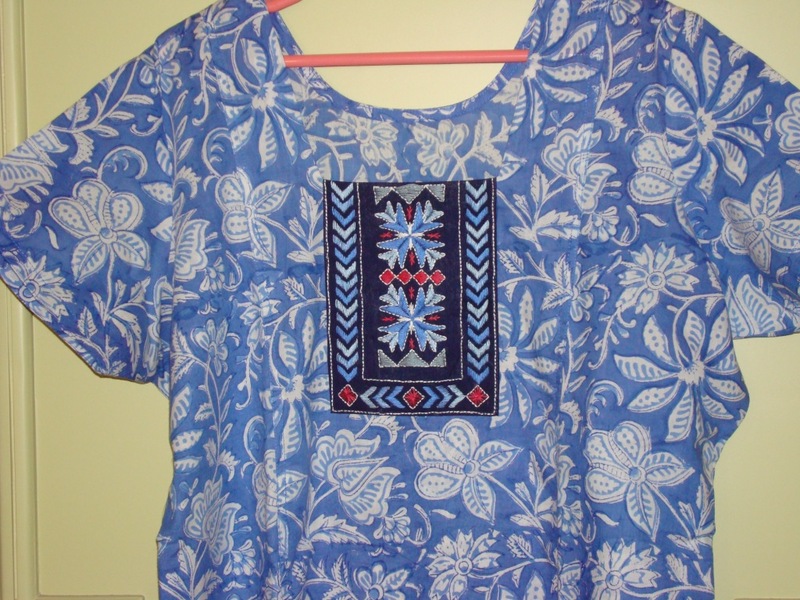 For this floral printed tunic , the yoke fabric was dark blue colour. 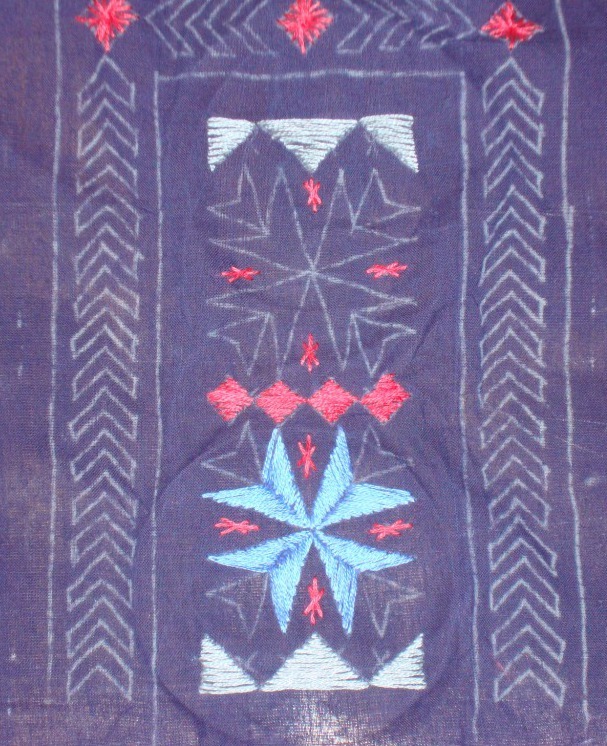 The pattern had two motifs in the centre and border on three sides of it. 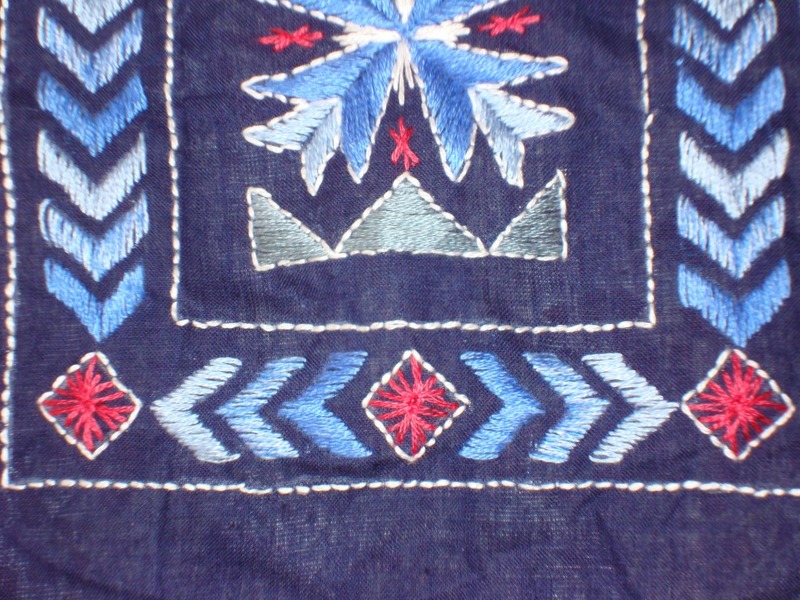 The yoke fabric was in dark blue colour. 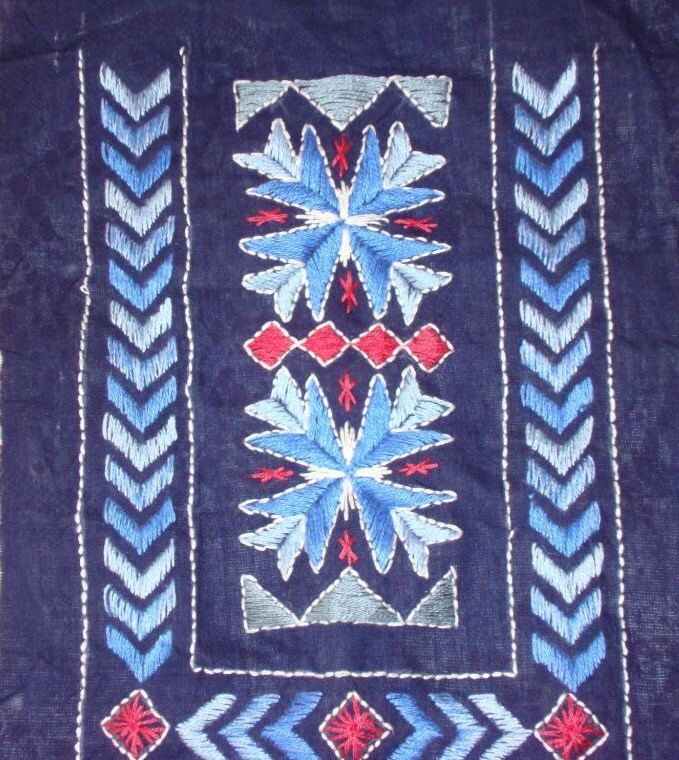 To contrast with the florals, geometric pattern was chosen as the embroidery pattern for yoke. Embroidery was not done on the sleeves. The thread colours were part of the blue family except for one red thread. 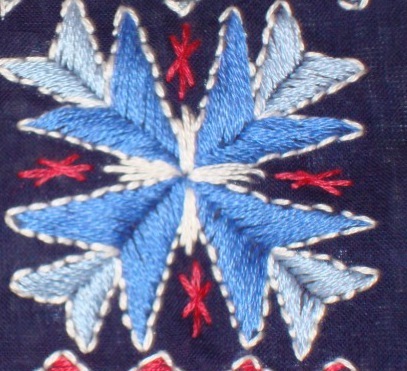 Initially I had planned to work phulkari embroidery[surface satin stitches] but later embroidered the whole piece in satin stitches. The yoke on my next post.